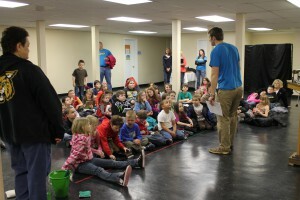 AWANA club is for kids from pre-k to 6th grade. Our goal is to lead boys and girls to Christ and train them to serve Him. We seek to achieve this goal during our handbook time, game time and counsel time. 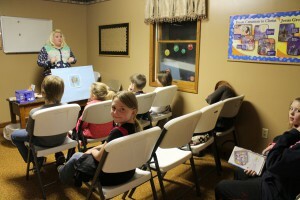 Kids join others in their age group and spend time memorizing Scripture and working through their handbooks. As they complete each section, they receive awards that are displayed on their uniforms. Our teachers and leaders are dedicated to helping each child hide God’s Word in their hearts! 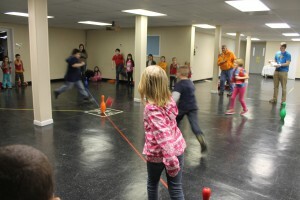 During this time, kids participate in fast-paced and exciting games in the AWANA game circle. Each child learns teamwork and good sportsmanship in an organized but exciting time that involves running, beanbags, balloons and more! This segment of AWANA is devoted simply to God’s Word. During this time, kids will enjoy puppets, songs, Bible lessons and awards are given to that night’s winning team! Children will hear messages of God’s love and salvation as well as how they can grow as Christian boys and girls.